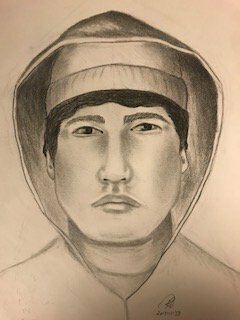 Victoria Police are looking to identify a male suspect who attempted to steal a purse from a female in the James Bay area on November 8, 2017. It is believed that the same person was responsible for trying car doors in a parking lot and banging on a window of a residence in the same area. The suspect was believed to be Aboriginal, 5’10”-6’0” tall, short dark hair and clean-shaven. He wore a dark windbreaker with a light grey hood and light grey pants.